Please review these new processes. Note: the Files area is restricted to HC ARES members only, and you must be logged in! This entry was posted in News on January 22, 2013 by N5SER. Would you like to receive an email whenever our website is updated? It’s easy! Just look for the Follow icon in the lower right corner of the screen. Once you click on it, you’ll see a space to enter your email address. It’s as simple as that! This entry was posted in News on January 20, 2013 by N5SER. 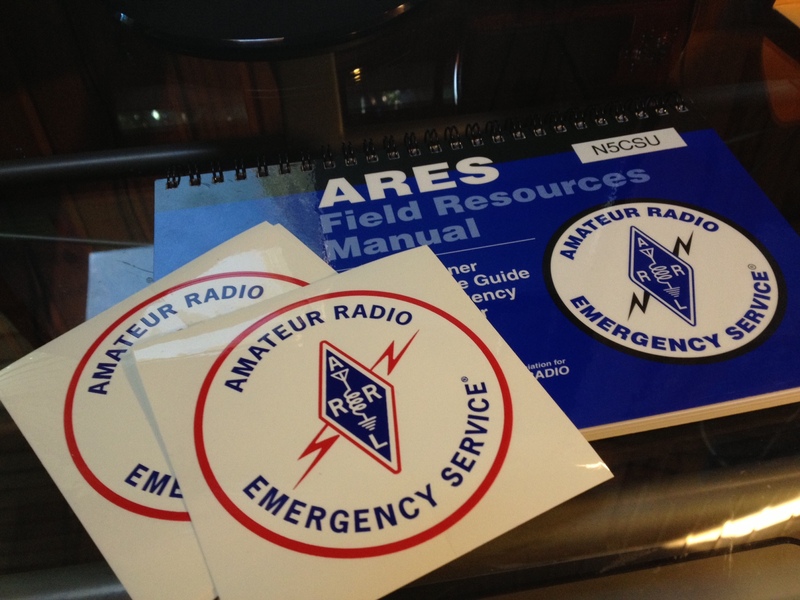 Have you ordered your Field Resources Manual and ARES vehicle sticker from ARRL yet? This entry was posted in News on January 18, 2013 by N5SER. I’ve updated the roster with all ARES application forms from 2008 on, and we’ve added several new members in the past month. 14 members have joined the Yahoo group. While all members have 2 M FM, 16 are also on HF. 8 members are HF mobileers. 17 members report that they can operate on emergency power. If you are not yet a member of ARES, download the application and join us! If you are in ARES but have not yet in our Yahoo group, click on the link to the right and join us there. We will be posting files, rosters etc., plus using the discussion board and email facility. This entry was posted in News on January 12, 2013 by N5SER.